At the 2013 California Audio Show I had the pleasure of serving on a panel discussion where attendees were invited to ask audio writers question. On the panel was Jason Victor Serinus of Stereophile, Neil Gader The Absolute Sound, Michael Mercer of Positive Feedback, and myself. One of the questions we were asked was what rooms we would recommend not to miss. Only one room was named by all four of us; the Fritz Speakers, WyWires, and Wyred 4 Sound room. 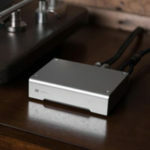 I talked both to Fritz Heiler and Alex Sventitsky of WyWires about reviewing some of their products. Mr. Heiler called me a few weeks later and ask if I would like to listen to one of his newest speakers. It was very nice to have Fritz drop by the house with the speakers. We had a very nice visit, chatting about audio and the Bay Area. Best of all he didn’t try to show me how to set up the speakers. I’m always frustrated by people who think they know the room I have spent 14 years in better than me. A few days later, I dug out some old 24 inch stands, hooked them up in my reference system to my Wavac EC300B. I didn’t really think this would be enough power, but they sounded sublime. The little cabinet is a nicely built nice little cabinet like most of his speakers. The speakers are 13″ high, 7.5″ wide and 12″ deep. The cabinet is solid as a rock. It’s the drivers that are new. Mr. Heiler uses a 6.5″ ceramic mid/bass woofer, which is here paired with a 1 inch Ceramic- Magnesium diaphragm sandwiched between ceramic layers. It’s ported in the rear top center, and has very nice binding post, but I wish they weren’t in such a small confined space, as this made it very difficult to use certain speaker wires such as my High Fidelity Cables. 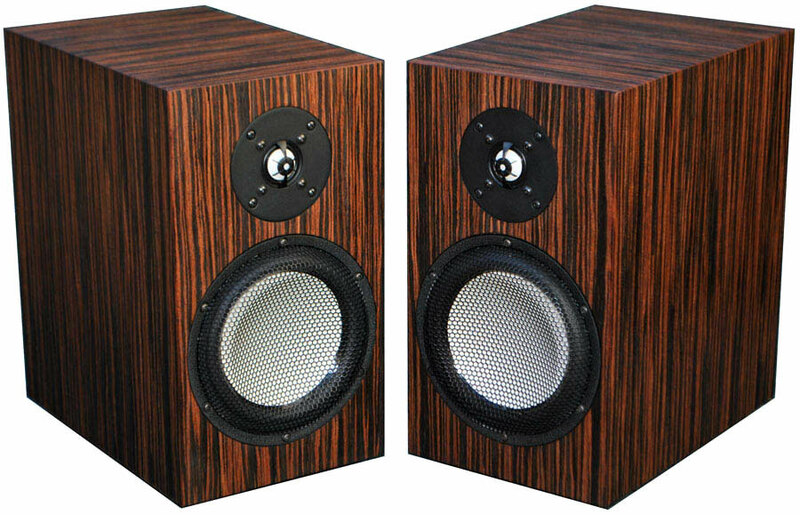 These speakers are about the same size as the Lindemann BL-10 and there are a good many similarities. They both use a ceramic mid/bass driver, but that’s where the design similarities end. The cabinet, the crossover, and the arrangement of the drivers are all different. The overall sound is also different. The Lindemanns are all about transparency, speed, detail, tight bass, and soundstaging. They are very close to the Lindemanns in these areas, but the Fritz are more organic and give you richer tonal colors. To my personal taste I prefer this combination of sounds to the pure speed and demon imaging that the Lindemanns were. Like I said I started by putting them in my reference system. They sounded their very best about two feet from the rear wall and about 7 feet apart. I also thought they sounded best when listened to in the near field with toe-in that crossed about 18 inches behind my head. I used them in my all vinyl system with the Wavac EC 300B amp and in my digital system using the Electrocompaniet PI 2D Prelude Integrated Amplifier. They sounded very good with both amps. 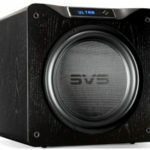 There are lots of mini-monitors at this price and above that can disappear, throw a huge soundstage, image out the wazoo, and which are very transparent with lots of detail. The Fritz Accuton 6 adds to these strengths by providing very good harmonics and tonal color. This is not an easy trick for such a small speaker and in my experience especially one with ceramic drivers. They showed no signs of glare or edginess. They did this and still manage to have very good dynamics and exceptional micro-dynamics. When listening to Ray Brown or Rob Wasserman’s bass there was plenty of rich, full bodied sound. No, they don’t growl like my Teresonics will on a great bass, but the standup bass was musically very satisfying. Pianos likewise were very satisfying. 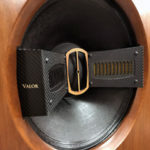 This is a speaker that lets instruments sound like themselves and not like an image of themselves. Strings on the Fritz speakers sounded beautiful, and so sweet that I could listen to them all day long. There was absolutely no glare or strain. They sounded great whether the strings were plucked, bowed, or strummed. They allowed plucked strings to sound very alive. They came really close to that magical ability to let them sound like they are right there in the room. This is something that very few speaker amp combinations can do. 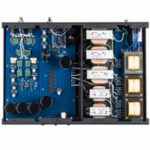 The one weakness most speakers with ceramic driver have is that in the midrange the leading edge of strings or pianos is handled better than the decay of wood instruments. This was not the case with the Fritz, which lets you hear enough of the wood and air around and within string instruments to be musically convincing. Now let’s spin some tunes. I carried this recording all around the California Audio Show, using it to evaluate systems. Very few of the systems at any price could hold it all together when I played the cut “Angel Eyes.” On this cut, Cheryl Bentyne’s voice goes from very soft to very loud, then back down to almost a whisper, and then explodes to end the cut. It is a real test of a system’s dynamics, harmonics, and ability to sound as good when played very softly as very loudly. The Fritz speakers at the show played this cut in a very enjoyable way. The Accuton 6 with either of my amps play it with even more dynamics and with more harmonics. I’m a big Miles Davis fan, and this LP is one of my favorites. I listen to both the mono original and the Analogue Productions 45-RPM version. Mile’s horn came across with nice and realistic bite and a rich full juicy tone. Jimmy Cobb’s cymbals had nice attack and good tonal color. The scale of the instruments and the power of the performance were better than I had expected from a multi-driver speaker of this size. I think Fritz does an amazing job of letting you hear and experience much of the musical event with his speakers. The Mercury Living Presence Paray/Dupre version of the often-called “Organ” Symphony is such an emotionally involving piece, and one you would expect the Fritz to struggle to play. Now the Fritz did not give the power of the organ like my Teresonic Ingeniums with a nine foot transmission do, but they still conveyed most of the emotion and most of the music found on that LP. I have had the privilege to review some great small speakers, three versions of the Teresonic Magus, the GamuT L3, the Genesis 7p Petite, the B&W 805S, the Audio Space LS 3/5A, the Raidho Ayra C1, the Lindemann BL-10 and now the Fritz Accuton 6. Three of these speakers play deep enough and sound alive enough to satisfy me. The Teresonic Magus A55s sound the most alive and the most like real music to me. The Raidho produced the best and deepest bass, as well as the most incredible reach out and touch someone soundstage. The Fritz are not quite in the league with these two speakers in absolute terms, but they are nearly as musical satisfying and they cost almost $5,000 less than the Magus and over $10,000 less than the Raidhos. I think this is the reason that Jason Victor, Neil Gader , Michael Mercer, and myself all recommend the Fritz Speakers, WyWires, and Wyred 4 Sound room as one not to miss at the 2013 California Audio Show. With the Accuton 6 I feel that Fritz Heiler has done it again and brought us a truly musical speaker at a very reasonably price for what it delivers. Highly Recommended! Bass/Midrange Driver: 6 1/2 inch bass - midrange driver with ultra hard ceramic dome. A FEA optimized overhung motor design with 38 mm titanium voice coil former guarantees extraordinary low energy storage and good heat transfer. The low loss rubber surround and a thin fabric spider center the moving parts with high linearity.